SATELLITE PARADISO SPREAD THEIR WINGS! SATELLITE PARADISO, the new project led by former PSYCHEDELIC FURS guitarist John Ashton, have issued a second single from their acclaimed debut album. If you think ‘Angelic’ sounds unmistakably Furs-ish, that maybe because it features current Furs Mars Williams (sax), Paul Garisto (drums) and Amanda Kramer (keys). The UK post-punk quotient is upheld by former GANG OF FOUR bassist Sara Lee, while vocals are handled by Fred Schreck of US early-90s band CRUSH. Based in Woodstock, NY, Satellite Paradiso feature a floating all-star line-up. 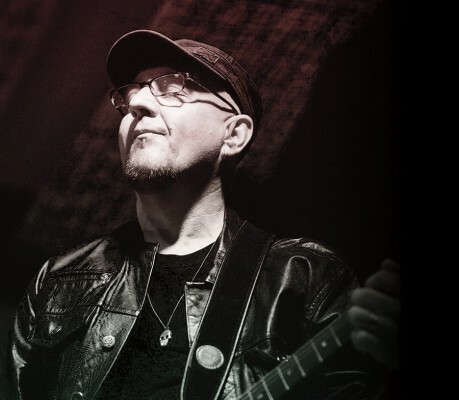 While Schreck and drummer/pianist Frank Coleman are part of the live band, Ashton has also solicited contributions from the likes of Paul Ferguson of KILLING JOKE, Cheetah Chrome from THE DEAD BOYS and ROCKET FROM THE TOMBS, DAVID BOWIE bassist Gail Ann Dorsey and original Furs Duncan Kilburn and Roger Morris. ‘Angelic’ and Satellite Paradiso’s debut album are available from their webstore. ‹ PIL FOR BEARDED THEORY! What can I say ? Great song, great band.